ROME - An Etruscan settlement that dates back to the 9th century BC has been found on the Sardinian coasts near Olbia. The presence emerged during a review of the findings of recent years by the archaeological superintendency for the Sassari and Nuoro provinces. The area of the settlement - according to a statement issued by the superintendency - is on the Tavolara isle, a position that enabled a certain degree of caution in contact with coastal inhabitants and those further inland. Archaeologists note that other settlements might be found in the Gallura area, on the opposite shore from Etruria. Etruria's cities such as Populonia, Vetulonia, Vulci and Tarquinia sprung up during the era in question, the first phase of the Age of Iron. The Monte Prama statues in Sardinia also date back to those times. ''The exchanges between 'nuraghic' Sardinia and the cultural aspect of the first Age of Iron of Ertruria, known as 'villanoviano' are well known and have been studied in depth. However, the presence of a community coming from the Etruscan shore that settled in Sardinia and prospered had not previously been found,'' archaeologist Francesco di Gennaro said. ''It is an absolute first and constitutes a leap forward in the reconstruction of relations between the two shores of the Tyrrhenian in protohistory.'' 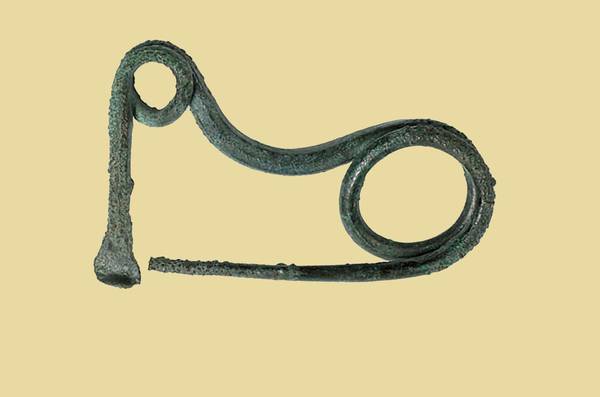 Helping to shed light on the dynamism and the sailing habits of those living in Etruria in the first Age of Iron (9th-8th century BC) is the presence of a coastal line of inhabitants in northern Lazio and Tuscany with clear similarities with the settlement discovered in Tavolara. The results of the excavations will be published by Superintendent Francesco di Gennaro with zone chief Rubens D'Oriano and Paola Mancini, who led the excavations in 2011 and 2013, after the finding of shards by Giuseppe Pisanu. (ANSAmed).